Applying God’s Word radically changes your life. On average, FPU graduates have paid off over $5,300 in debt and saved $2,700 during the 63-day program! Class starts Sunday, February 24, 2019 at 10:45 a.m. in Room B. 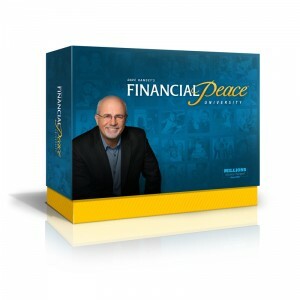 The average family pays off $5,300 in debt and saves $2,700 in the first 63 days of Financial Peace University! If you do it, IT WORKS! If you don’t do it, IT WON’T WORK! If you will work the program, you won’t want your money back. If you don’t work the program, you don’t get your money back. Class members meet with their class each week to watch a video lesson and participate in discussion groups. And don’t worry, we do not talk about how much money you make. Dave’s style is simple and easy to understand. He will change the way you think about money. You’ll actually have fun as you learn! Watch a preview and take a look at the 9 lessons. 1. Purchase your kit. Lifetime memberships are only $109 and can be purchased online. Our next class will be offered starting Sunday, February 24, 2019 at 10:45 a.m. in Room B.